Leith festival has a long tradition of community engagement and celebration. Dating back to 1907, the festival has provided over a hundred years of entertainment to the residents of Leith. 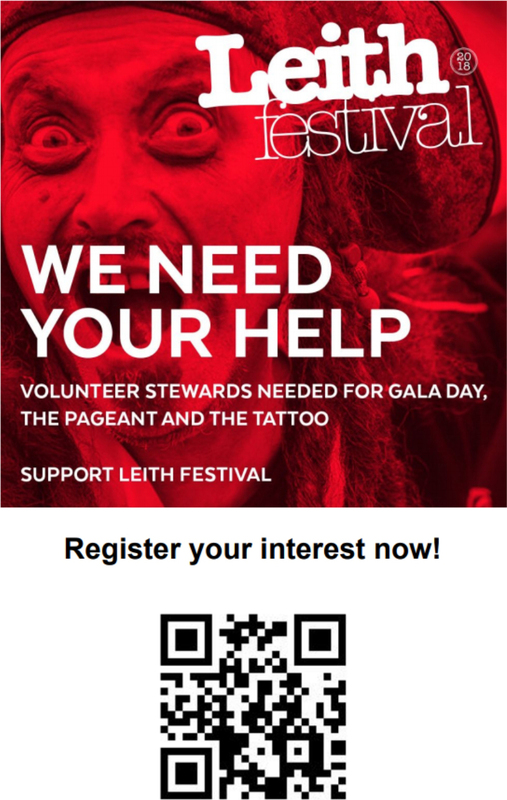 The last few years have seen Leith Festival grow to encompass not just Gala day, but a week-long celebration of all things Leith with local businesses, community groups and organisations all joining in. We couldn’t run this event without the help of volunteers. We need stewards primarily to help on Gala day. Setting up, the pageant, and cleaning up after the event are all things which an extra few pairs of hands make a massive difference in. If you can spare a few hours any time from 8am through to around 7pm on the 9th June, or from around 5/6pm to 9.30/10pm on the 17th we would love to welcome you to the team.